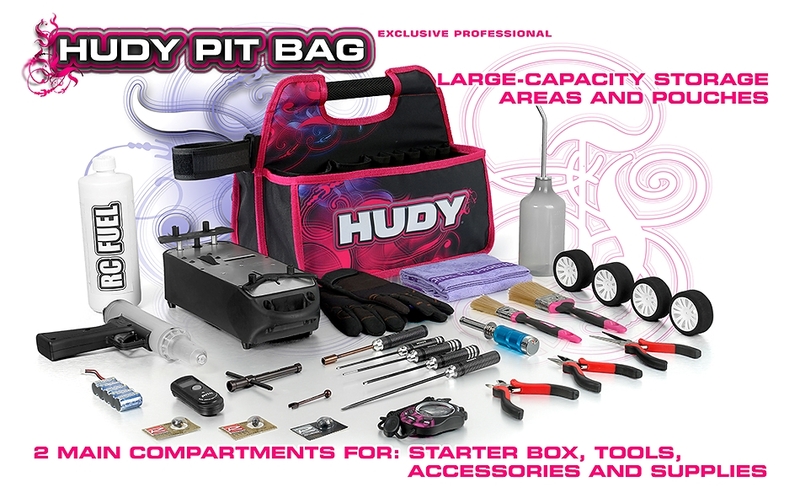 The legendary, purpose-designed RC car pit bag from HUDY has been completely redesigned & improved. The new lighter and more compact design allows much easier handling, transport, and use for all on- and off-road racing in 1/8 and 1/10 classes.Smartly designed and laid out with open internal side pockets for items you need to access quickly, and tool pockets for engine & carburetor tools or any other tools you need.The large main storage compartment is designed to precisely fit a 1/8 or 1/10 starter box, while the other large storage compartment can be used for spare tires, equipment, and much more. 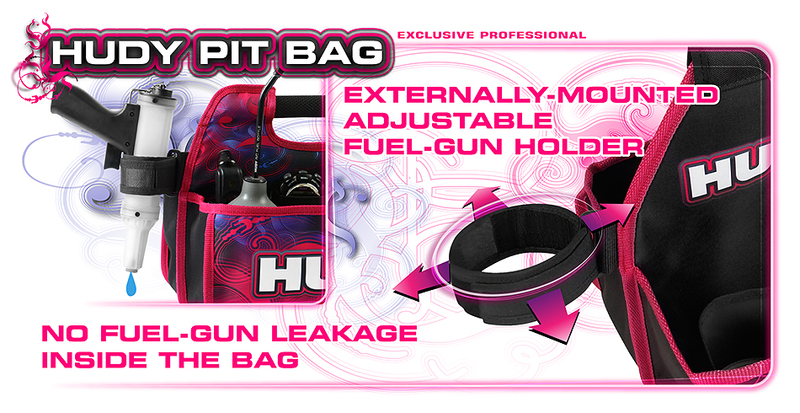 There is even an extra pocket specially designed for a fuel bottle.